Pictured (left to right): Director of IT, Comprehensive Care Services, Terry Oplinger Jr.; Vice-President, Vision33, Alex Rooney; Chief Financial Officer, Comprehensive Care Services, Paul Horvath; Consultant, Comprehensive Care Services, Kara Murtha; Accounting Manager, Comprehensive Care Services, Carol Polzin, and Chief SAP Business One Ambassador, Vision33, Carl Lewis at the Biz.ONE event. It's that time to profile another 2017 Visionary Award recipient- Comprehensive Care Services- provider of superior perfusion and autotransfusion services. Comprehensive Care Services were presented their award, along with HTRI and AltaFood Craft and Associated Services, at the Biz.ONE Conference held in Orange County, CA. 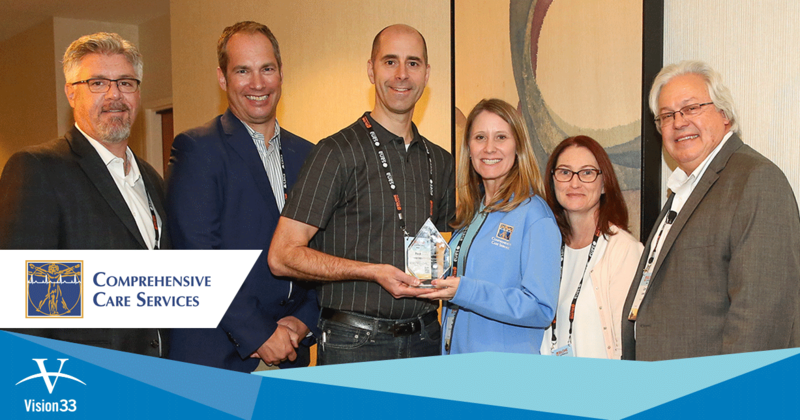 All three businesses in attendance were honored at the Vision33 Customer Luncheon, and were recognized along with six other Visionary Award recipients for their commitment to SAP Business One. Each customer demonstrated exemplary use of the solution and used innovative ways to leverage SAP Business One to grow their business. Founded in 2001 by Chet Czaplicka, a perfusionist with over 25 years' experience, Comprehensive Care Services employ highly skilled, board certified or board eligible perfusionists. They provide informatics, data and quality management, point of care testing, blood conservation programs, hardware and inventory management solutions to their client medical centers throughout North America. Their areas of expertise include Open Heart Surgery, Autotransfusion, Point-of-Care Testing, Platelet Rich Plasma Therapy Services, Therapeutic Apheresis, CRRT, Ventricular Assist & ECMO, Interventional Cardiology, and Perfusion Consulting and Operations Assessment/Review. With so many different offerings and services, Comprehensive Care Services required a solution that could manage their business processes. With the adoption of SAP Business, they could track their information flow between different divisions. Comprehensive Care Services has been live with SAP Business One since 2011, and designed a fully integrated custom add-on billing application specifically for their industry. They are currently in the process of migrating their custom add-on into a web based portal using tools such as the zedSuite Interconnect to directly interface with SAP Business One. Comprehensive Care Services will be using the portal to allow for their 440+ field users to enter their billing information, purchase requests and Goods Receipts in a HIPAA compliant and secure environment. Working with Vision33, Comprehensive Care Services has been able to streamline their business processes, and are continuously looking for new ways to better their business. 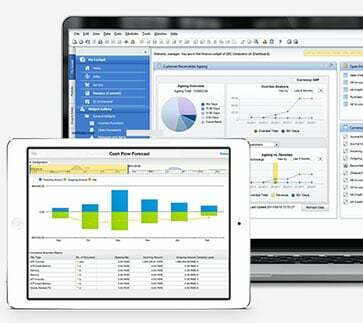 To learn more about how SAP Business One, access Vision33's SAP Business One information kit. If you are considering moving to a new business management solution, read our selection of resources to help you better understand the benefits.